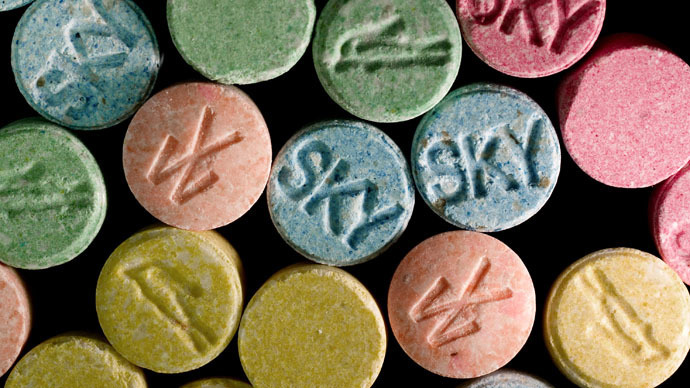 Irish MPs will pass emergency legislation Tuesday night, after the state’s Court of Appeal found current law banning ecstasy, crystal meth and “legal highs” to be unconstitutional. The legal loophole has sparked disbelief and bemusement across the state. The controversial Court ruling, concerning Ireland’s Misuse of Drugs Act 1977, was issued Tuesday morning. It has proven an embarrassment for Irish lawmakers, as it renders government orders banning psychoactive substances such as ketamine, ecstasy and magic mushrooms null and void. Until new legislation is passed, the possession of multiple Class A drugs and other formerly banned substances will be legal in Ireland. The Irish parliament is expected to gather between 8.30pm and 11.30pm on Tuesday night in a bid to remedy the situation. MPs will seek to close the offending loophole, and vote through a revised bill. The state’s Senate will pass the emergency legislation on Wednesday, and it will be signed into law by Ireland's President Michael D. Higgins. It will not come into effect, however, until Thursday at midnight. The whole #yokes thang shows very clearly how much of the structures of an unequal nation state can rest upon fabricated fear and panic. The legal quagmire was spawned by a Court of Appeal ruling that part of the Misuse of Drugs Act 1977, which legislates for the control of certain substances in Ireland, is unconstitutional. The Court found Section 2(2) of the Act to beat odds with Ireland's constitution because it gives law-making powers to the state's government, which should be the exclusive domain of its Senate. “All substances controlled by means of Government Orders made under section 2(2) cease to be controlled with immediate effect, and their possession ceases to be an offence,”a memorandum detailing the emergency bill concluded. The issue arose following the prosecution of Lithuanian-born Stanislav Bederev for possession of methylmethcathinone. His lawyers argued that the decision to ban the drug was a matter to be considered by the Senate, and that only after that could a government minister formally initiate a ban on the substance. Other drugs such as cocaine, heroin and cannabis will continue to be illegal as they are controlled by separate Irish legislation. The Irish government said it may challenge the Court of Appeal's decision in the Supreme Court, but until that happens, police must rely on the emergency legislation. It is believed Irish party whips were aware of the possible need for government intervention last week, but were informed that doing so would breach confidentiality relating to the Court of Appeal case. Irish hip hop group Rubber Bandits suggested the legal loophole uncovered by Bederev'scase reflected badly on the professionalism of Ireland’s legislature. Hundreds of people took to Twitter to air their thoughts on the legislative bungle. Some expressed bewilderment, while some focused on the absurdity and hilarity of the situation, as they saw it. Others mused over the fact the possession of ecstasy - often called"yokes"by recreational drug users in Ireland - will be legal 48 for hours. So basically Ecstasy was legal before gay marriage in Ireland. Furious hipsters have dissed the #yokes craze tonight, heading to South William St for some craft ecstasy and organic retro punk meth. Ireland's fleeting decriminalization of Class A drugs and other banned psychoactive substances has also sparked intrigue internationally. By Tuesday afternoon, the hashtag #ecstasy was trending on Twitter in London with social media users marveling at Ireland's shifting legal landscape.